We’d love your help. 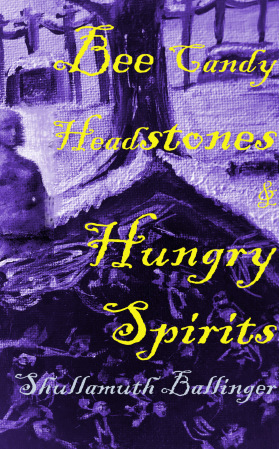 Let us know what’s wrong with this preview of Bee Candy Headstones and Hungry Spirits by Shullamuth Ballinger. To ask other readers questions about Bee Candy Headstones and Hungry Spirits, please sign up. Raised all over the Denver area, Shullamuth spent most of her early life in Denver's Globeville neighborhood. A high school teacher by day and writer by night, weekend, and summer, Shullamuth also attends a ridiculous amount of live music and tries to hike once a week.